This is the first of many features in a series called ‘Spotlight’ — the central tenet behind this series is to delve a bit more deeply into certain people in the scene, or that I’ve met along my travels. A lot of publications will have already featured these people, but what I do want to do here is go further in with socio-cultural and economic concerns. This first article is about Steve Calder, who is currently based in Melbourne, Victoria. 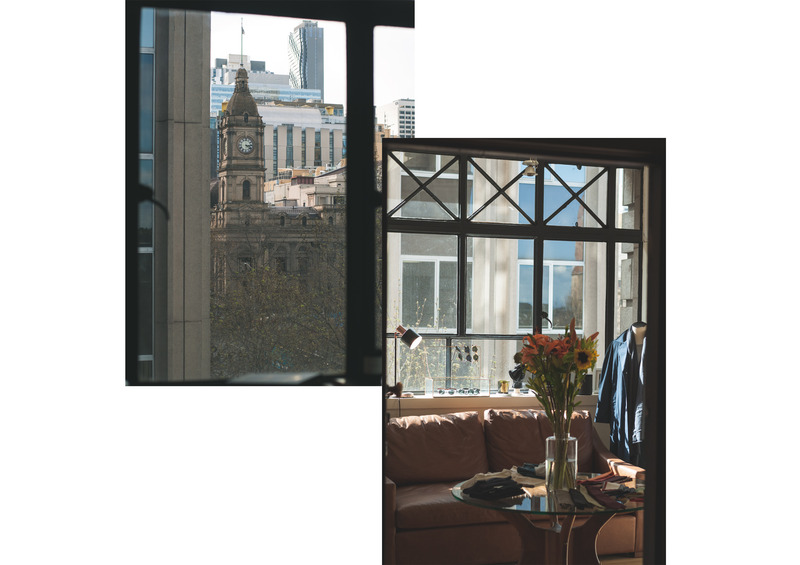 Steve Calder, the one man army behind the same Sartoria of his own name (Calder Sartoria) looks just at home in 20th century Parisian furnishings as a closet-bourgeois intellectual, but he certainly is no anachronism in Melbourne. He is, however, here for a perhaps similarly contentious and lofty purpose — to curate the modern man’s wardrobe. 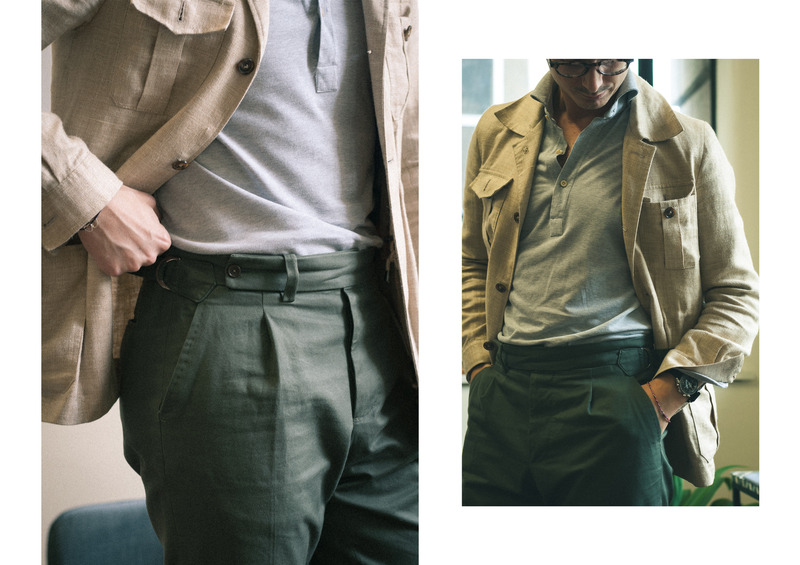 It’s a gargantuan task given the democratisation of style, and correspondingly terrible standards of average ‘menswear consultancy’, where people navigate nebulous partitions between ‘street style’, ‘classic menswear’ and so on. It’s also significant given the cultural tribalism that comes with the variety of consumer demographics vis a vis menswear (but I suppose I’ll leave this for a later article). The question then becomes — is Steve a ‘curator’, and if so, how does this compare against a pure salesman, fitter, or business owner? Does the role of the curator necessarily extend past clothing and embrace other artistic platforms? If there are other people doing similar things, what can be differentiated here? I meet him at the store. Peering out from the Nicholas building, there’s a torrential flow of pedestrians between Town Hall and St.Pauls, so I suppose his sartoria is a reprieve from whatever ‘busy’ lifestyle Melbourne claims to have. Steve pulls out a bottle of acqua frizzante as I put down the phone. “There’s no point living if you can’t live well” — it’s a statement bereft of concrete meaning but Steve starts off with this line as a means to inform his practices, business and lifestyle. I think it’s important to contextualise where Steve sits in the Melbourne scene,— it’s an interesting case study of a one-man run sartorial ‘emporium’. 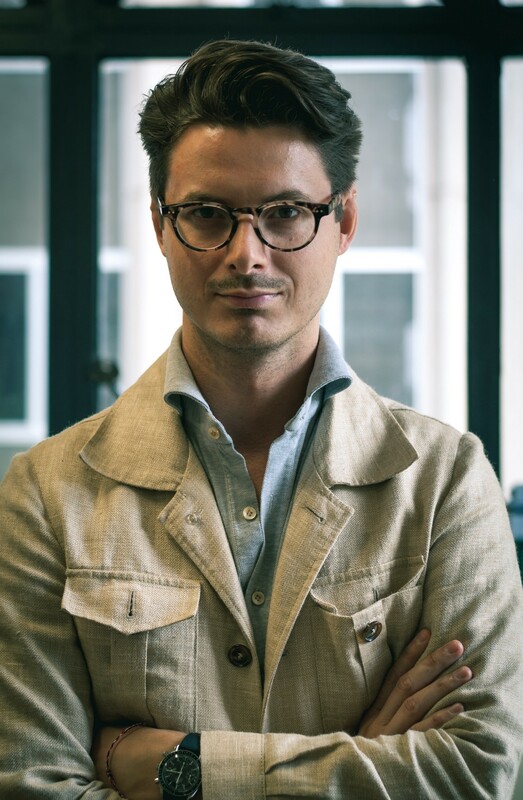 An ex-Zegna MTM specialist, Steve has honed his knowledge both intra-institution discipline and also draws sustenance from interviews, podcasts, and people. Prior to Calder, classic menswear emporiums were largely reliant on bigger retail businesses with less independent players. Bucks would give you access to Drakes, Churches, and some vague notion of English heritage — but it was an antiquated business model with older cuts and perhaps unintentionally excluded a lot of young clientele. Package deals would be plastered across Peter Jackson, Joe Black, Godwin Charli, Calibre, and weirdly Jack London; MJ Bale even moved in, but coagulated with a non-vintage Brooks Brothers and Herringbone as ‘mid-tier’ RTW options (at least in an Australian market). The common trait here is the idea of a one-stop shop for menswear, all with certain flaws; either it was price-point accessible and the quality of the product suffered, or it would be ludicrously expensive and only mildly justifiable as a considered sartorial purchase. By no means is Steve alone in his ventures of curating a range of artisanal brands though; to illustrate, Melbourne veterans Double Monk have been stocking Rubinacci, Bresciani, Fox Umbrellas and Frank Clegg (to list a few), Trunk dabbles with Drakes, Francesca Maglia and Nackymade, Masons parades Cucinelli and now Ring Jacket, and Oscar Hunt has started importing Albert Thurston and Cordwainer, of all things. In essence, I want to approach the idea of ‘curation’ by assessing it in frameworks of cultural importation, social media usage and small-scale menswear consulting. None of these can be neatly cordoned off from one another, but the relationships between the ideas should be fairly axiomatic. The incipient stages of Calder Sartoria had hand-finished and handmade MTM suiting from Naples at the cynosure of the business, rather than a collection of different brands under a single house. The original tagline of the business involved the importation of an unashamedly Neapolitan lifestyle into a Melbournian context — Steve is a stalwart of relaxed contexts, romance, passionate Southern Italian men, and sees the culture as a reservoir from which Melbournians might draw inspiration from. It’d be prudent to recall that in late 2015/early 2016 in Melbourne, this was still, as Steve notes, a ‘niche pocket’ within menswear, rather than a mere marketing gimmick. Nowadays, almost everyone is trying to offer softer cuts, more relaxed looks, and make it accessible. For all its trivial lambasting of Sydney’s culture being less developed than residual liquor in an opened VB can, Melbourne also has some pretty derivative culture. It’s exciting to an extent, because there’s at least a canvas for burgeoning stylistic movements, aided (in some ways, hindered in others) by globalisation and access to economies of scale. Clothing and an understanding of it can therefore transmute to broader understandings of lifestyle and culture, and it’s this that Steve picks up on. “Initially, you understand the source of the garment and its construction. Once this happens, you get an insight into the environment it was created in, the culture that begot it, and thus how to generally wear it. A while later, you’ll then understand how it makes you feel while you wear it”. It’s a bit of a tenuous stretch to say that if I wear softly constructed garments, I’ll be abruptly whisked away to a mirage of cobblestones, pastel coloured buildings and away from the crippling reality of a supply-heavy law market, but the point is that clothing does feed into everyday presentation, behaviour and perception. You’d also be right in arguing that most people don’t have the luxury or energy to think about how they ‘feel’ wearing clothes as a means of self-expression; but Steve is here for those that are perhaps a touch more discerning. I find out that my framing of this issue isn’t really that on point at all. As Calder would put, the gamut of Calder Sartoria’s collection has expanded past simply Naples. Moreover, Steve just ‘wants a cool store’, and whatever that looks like remains to be seen, despite the original Neapolitan flavours. If we see that Neapolitan garments and its concomitant culture are more aligned with being a means to an end, then it acquires an enabling function. Neapolitan garments, with all its imperfect beauty and relaxed elegance are less driven to import ‘Naples’ in a wholesale sense, and more to elevating the breadth of choices of clothing and mediums of expression that Melbournians can access. It’s an ‘offer’ that Melbournians can take up and align towards their own proclivities. At the same time, the longevity of the Neapolitan design means that it can grasped as a centre point, around which different (but complementary) trends, materials, silhouettes and proportions can orbit. Casualwear or even high fashion can easily be slotted in to produce cohesive outfits. The family workshop Steve works with has been producing the same cut for about 40 years — it’s an enduring cut abroad, so it might as well be an enduring cut here, especially in a context that doesn’t have much to support an indigenous (in the wider sense) fashion movement. Pastiches of the cuts are now adopted by RTW groups (all with higher gorges, lighter canvassing, etc), but this nonetheless firmly evinces the idea of Neapolitan tailoring as the prevailing go-to style of the day (at least maybe in Melbourne). The consequent inquiry that business owners therefore have to grapple with is how they might distinguish and differentiate themselves, if they are tethered to the Neapolitan abstract. “It’s service”, he opines. “It’s about luxury and giving customers the opportunity to pursue that luxury at an accessible price point”. It’s an interesting idea I suppose, that assumes a level playing field in the market — there’s at least some merit to this claim. Whatever conclusion we draw from this, the curation of the Melbourne wardrobe is diverse, and at the very least, a Neapolitan influence (inter alia) is arguably going to have a sustained presence in it. In some ways reminiscent to the sole-director company debacles of corporations law, Steve runs two Instagram accounts (@stevecalder and @calderofficial) to promote his work; the lines are consistently blurred, in that you’ll find Steve Calder the man, and Steve Calder the business. The greater questions at hand here deal with the use of social media among sartorialists to promote certain aspects of their business, a particular style and curating a look, along with personal branding. 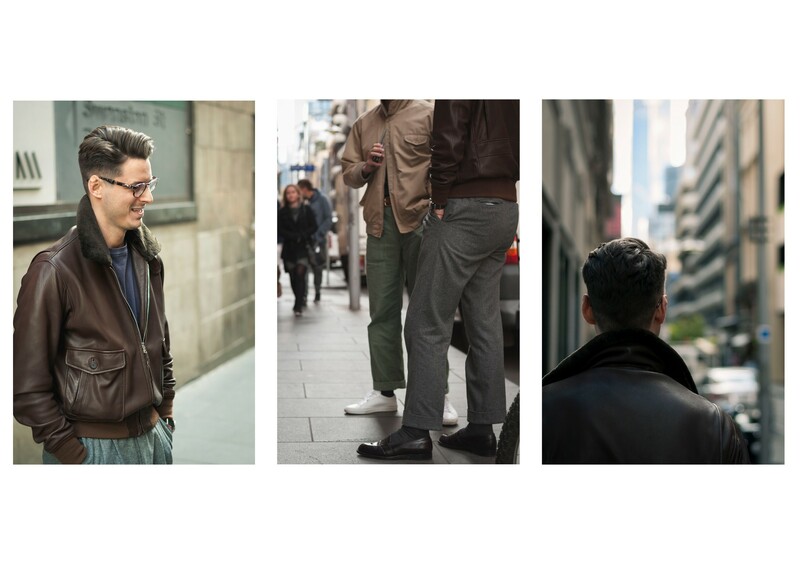 Steve is but one example of sartorialists in Melbourne that do this, but again, that’s a topic for another day. Focusing on the individual Steve Calder (on Instagram), Steve has had a fairly organic come up, from small challenges with his fiancée in accruing followers, to being picked up by menswear reposters. Curation of an individual style on social media can arguably be tiered in strata based upon the levels of self-indulgence and narcissism — the most pedestrian make it about themselves, but the better ones get you thinking about textures, formality, proportion, seasons, and the craft. Steve’s own personal style has morphed over the last few years, from perhaps more preppy/formal suiting attire to high/low combos, relaxed silhouettes and practical lifestyle attire. How does this translate into consumer outfits and his ‘curating’ role? Ethan Newton of Brycelands once said something akin to the idea that he dresses at a 110% capacity that his customers might adopt 70% of the same clothing he wears. I posit this idea to Steve, who expounds on it vis a vis his business. At the same time, Steve doesn’t always care enough to dress up to the nines. He prefers to be himself, rather than the ‘entity’ Steve Calder. 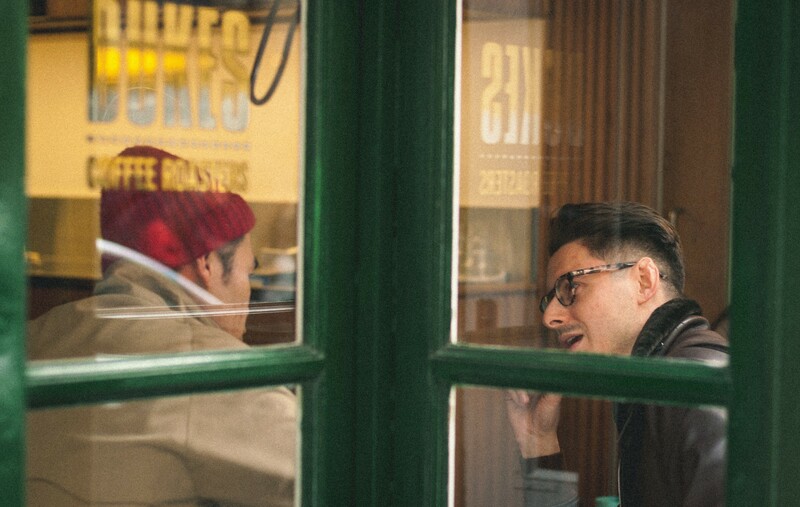 This participatory approach based on a customer and owner interaction definitely isn’t novel, but it does wonders for curating — it’s organic, dynamic, and enables the greatest personal freedoms for individuals to demarcate the boundaries of their own styles. Clients will come in looking for Chad Prom ‘Pieghe’ jeans to go with their own vintage high-fashion sweater, or go for dual reverse pleats with D-ring adjusters to match with an Arpenteur top. Clients replicating looks or permutations of standard looks have never had it any easier, but perhaps the ones that really get ahead in this social media space are those who find new ways to wear ‘tried and tested’ things. Certainly, Calder is not the first to wear a Safari Jacket or cavalry twill and ‘influence’ others to do so, but how many people can you say in Melbourne actually do? Accordingly, to analogise Calder’s social media clout and purpose to the comparatively bourgeois movements of say, George Wang, would be manifestly inappropriate. Completely different styles, different markets and demographics, and that’s still okay. The point is, I think Calder (as a social media sartorialist/curator) strikes an appropriate balance for Melbournians (and others) that are just beginning to explore this space, as well as the more experienced lot. Average menswear consultancy (in the broadest, lowest common denominator sense) suffers largely from (1) lack of accessible and good quality products, and (2) consultants who don’t actually know what they’re on about. Calder Sartoria doesn’t fall into these trappings. Getting in the products is one thing, nudging people to like them is another. When it comes to fitting and style, Steve’s clients repose their trust in him and only occasionally will intransigence be an issue. Curating a wider range of clothing to accommodate all tastes will inevitably lack focus, whereas too narrow a construction of style is inaccessible. Calder isn’t rigidly prescriptive though, and his recommendations based on the house styles provide enough latitude for individual choices. His consulting style is perhaps more ‘classic’ oriented, and less Tan France — no French tucks, or unnecessarily slim pants (look I like Queer Eye as a show as well, but some of the bigger men on that show look like they can’t breathe). Granted, Calder has a better curation to work with. The products on show are curated in a manner representing time-tested trends, patterns and styles that have a versatile function. Steve’s style of menswear consulting (in helping to curate a wardrobe) is largely aided then, by information, discourse, and an earnest appreciation for smaller-scale craft, that can be picked up by consumers. You can see how this approach works to Steve’s favour, especially seeing what he stocks. When any retailer curates a collection of goods, a starting point is assessing the functionality of the pieces brought in; that is, the aesthetic, pragmatic and pricing functions. Steve’s products arguably satisfy all three. But so do a lot of others — how do you know what to bring in to the curation given the fungibility of different brands? Calder proceeds to launch a diatribe about the growing disparities between luxury and low end markets from a macro perspective. He notes that small pockets of middle market success (comprising ‘niche’ and ‘craft’ products) are increasingly being pushed out by larger conglomerates with greater market share. High fashion groups encroaching into ‘low end’ domains by producing entry-level lines begin to force out (through sheer branding) actual quality products by small businesses — Steve uses an example of people paying upwards of $400 for a designer t-shirt with terrible cotton and equally terrible logos (no specific brands mentioned, of course). The options nestled between the luxury and low end market are not as apparently lacking in 2018 as they were perhaps in 2013–15. MTM suppliers in Melbourne have capitalised on this void in recent years, but even then, the facade of occupying a middle market position (that is both luxurious and accessible) is usually compromised by quality, with many MTM groups having technically poor goods produced with a high markup, supported by questionable branding and buzzwords. Moreover, Calder points out that extremely successful middle-market options presented by independent business owners often succumb to a culture of wanting to always be growing and go global— not that there’s anything inherently wrong with this, but you can see how at some point, compromises reach a tipping point. Instead, Calder would rather remain niche, authentic, and thereby successful on his own terms. Steve doesn’t necessarily endeavour to raise a clarion call for a unified abjuration of ‘unethical’ consumption at his store, but what he does instead, is enact changes where he can. “My job is to let clients feel they look good when they walk out — it’s so easy to be put down by others (read: family and friends) for new stylistic pieces and choices…people will wear things for themselves or for others, after all”. So to a degree, Calder busies himself ameliorating male insecurities and advocating for an open mind about clothing choices, but he also doesn’t inveigle his way into repute. He’s astutely aware that some of the more pernicious connotations with hard selling and consulting can be dangerous, with common practices including skewering customers for profit. The point here is that the trade involves a panoply of skills, ranging from fundamentally good products, supported by educative service. The iPhone starts burning up, and the recording has been rolling along for a while now — Steve brings it back around to his business ethos before we grab a coffee. For Calder, he suggests that he takes hold of all the aforementioned elements of cultural importation, social media influencing, considered consulting and curation, and directs them towards ‘doing his part to make the world a better place’. It sounds like a hortatory goal more commonly localised amongst the utterances of human rights symposiums, but for Steve, he would rather fight the uphill battle against the proliferation of mass market styling, and support the right people in doing so. It’s simplistic but nuanced, and oh so thoroughly ambitious all at once. More importantly, it’ll take more than one article to solve all of it, including some unanswered queries that I have — so why not make a trip down to Calder Sartoria yourself?